Perinatal care involves taking steps to ensure your the healthy progression of your pregnancy and to get you ready for labor and delivery. At TLC Perinatal PA, you can meet with a dedicated perinatologist regularly to receive the preventive care and pregnancy planning you need. Your primary OB/GYN can often refer you to a perinatologist. You can schedule your perinatal evaluation at any of the practice locations in Silver Spring, Germantown, or Hagerstown, Maryland, by clicking on the online scheduler. You can also call your nearest office directly. Why do I need a perinatal evaluation? 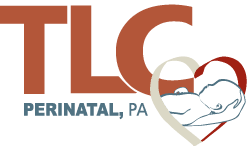 At TLC Perinatal PA, you have access to a team of board-certified maternal-fetal medicine specialists and perinatologists, so you can expect expert, comprehensive care during every stage of your pregnancy. What happens during a perinatal evaluation? Your dedicated perinatologist at TLC Perinatal PA also discusses the signs and symptoms of labor that you should look out for so that you know it’s time to head to the hospital or birthing center. How do I prepare for a perinatal evaluation? The dedicated perinatologists at TLC Perinatal PA are committed to walking with you up to the door of your delivery and then walking out with you after delivery. They schedule you for regular visits during your second and third trimester, and may even have you follow up shortly after your little one arrives. Book your perinatal evaluation at TLC Perinatal PA today. Use the online booking feature or call your closest office to schedule.